Precision trajectory control in modern machining processes is an important issue for two-axis contour tracking applications. 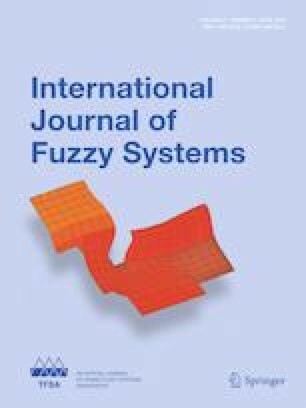 In this paper, an adaptive fuzzy sliding mode control (AFSMC) is designed and proposed for effective and stable control of the industrial X–Y-axis motion stage. The aim of the control strategy is to apply fuzzy systems to approximate unknown nonlinear functions and to use soft fuzzy switching to approximate a discontinuous control signal such that it can alleviate the chattering phenomenon in the presence of unmodeled system dynamics and external disturbances. Based on our AFSMC method, the associated robust performance can be conducted effectively for different trajectory tracking. To ensure parameter boundaries, projection algorithm is utilized for the adaptive control law. The AFSMC adaptation scheme adjusts the fuzzy parameter vectors based on the Lyapunov theorem approach, so that the asymptotic stability of the developed motion system can be guaranteed. The X–Y linear table system is experimentally investigated with four typical contours, namely star, circular, four-leaf, and window reference contours. Simulation and experimental results indicate that the proposed AFSMC achieves improved tracking capability and reveal that the AFSMC outperforms other comparison schemes with regard to model uncertainties and cross-coupling interference. The authors would like to thank the Ministry of Science and Technology of the Republic of China, Taiwan, for financially supporting this research under Contract No. MOST 105-2622-E-224 -010 –CC3, and MOST 107-2221-E-224-040-.